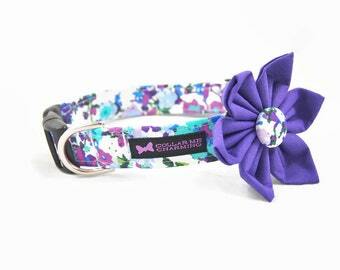 This listing is for the dog collar only. 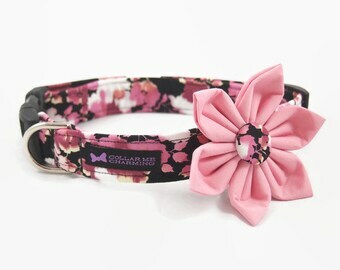 Collar Flower sets are available in our shop. Spring is in the air! 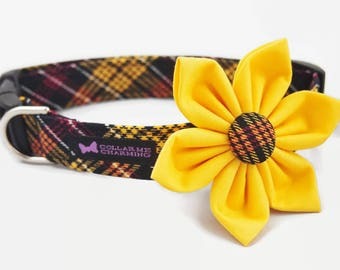 Your pup will looking dashing in the new Olivia Dog Collar. 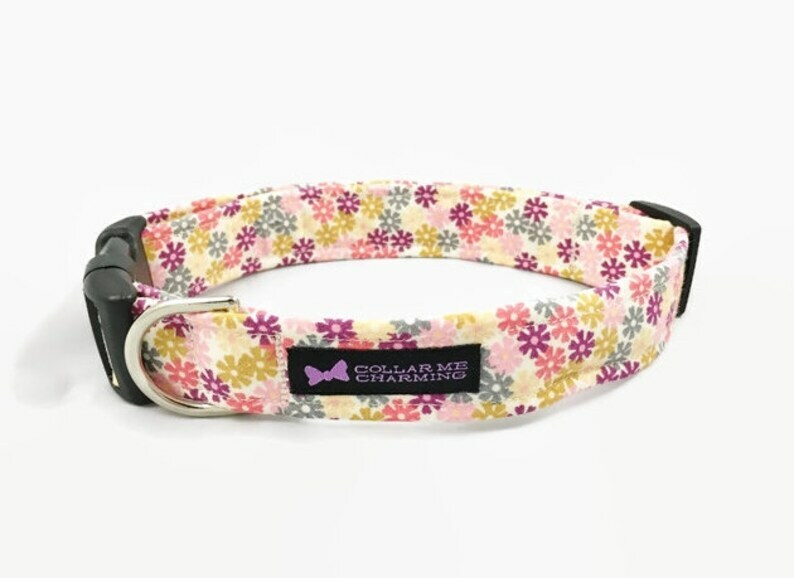 This style features a beautiful floral design of plum, coral, pink, grey and golds.